Give us a ring during our normal business hours. We do accept walk-ins however, appointments are preferred. we will get back to you as soon a Beauty Concierge becomes available. Please fill in the below form for any inquiries after hours and we will get back to you as soon as our Beauty Concierge is available. Alternatively, you can contact us via email. 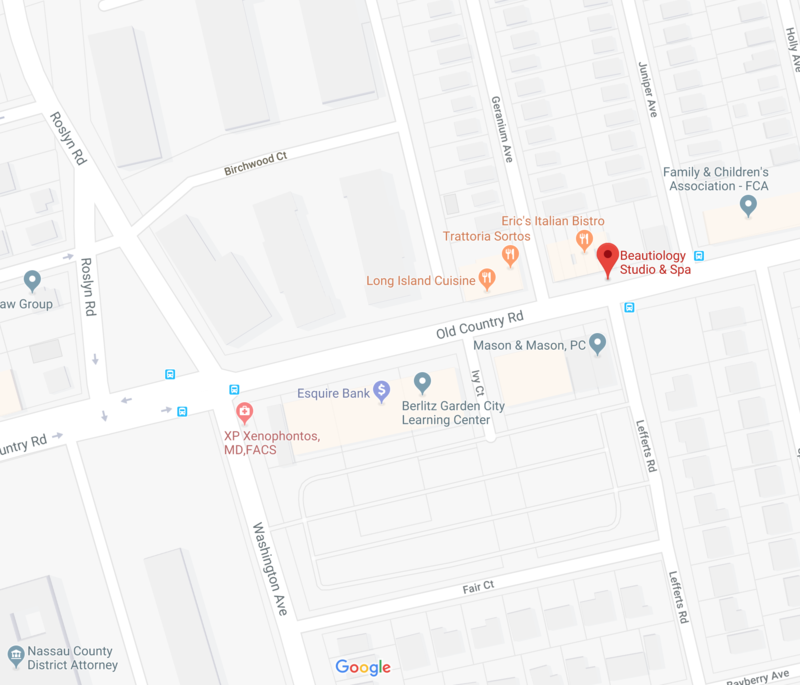 Free Parking is available to you across the street in the parking lot between Washington Ave. and Lefferts Rd. or metered parking on Old Country Road. NOTE: Anytime after 5pm or Saturdays & Sundays - you may park in the lot directly next door to us. Using Google Maps is the easiest app to find your way to us. 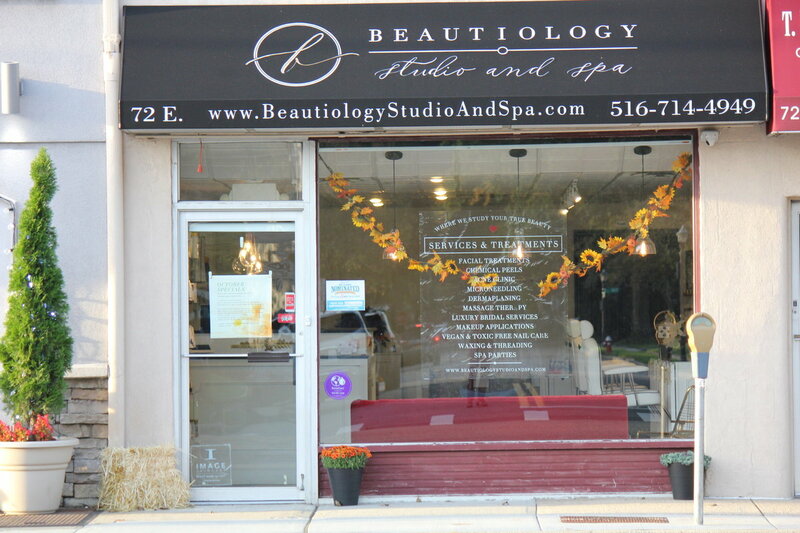 Make sure to put "Beautiology Studio & Spa" rather than typing the physical address which may lead you down the road in one of the surrounding towns. If you're lost give us a call.